Visiting authors and illustrators bring much more than just great stories to your school, library or event. They bring a priceless connection between the creator and their readership that inspires and nurtures literacy and writing skills. For audiences of all ages they may also educate, challenge, motivate and entertain. Speakers Ink strives to promote communication, literacy and confidence and to inspire creative endeavours by engaging audiences with quality literary presenters. We are a literary speakers' agency of excellence, committed to providing a quality service with professional guidance, support and management for all speaking engagements. We focus on improving all aspects of literacy and in providing opportunities, inspiration, motivation and practical help. We work diligently with every visit organised by Speakers Ink to ensure the best possible outcome. Speakers Ink can arrange the perfect speaker for your next educational or motivational event. Feel free to browse this site to explore what the Speakers Ink Speakers have to offer! 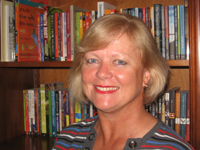 Sandie is a former bookkeeper/office manager with over 30 years of experience. 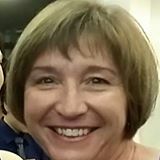 She has worked closely with the Founder of Speakers Ink, Helen Bain, for more than 3 years, delivering Speakers Ink's services in Queensland and around Australia. In late 2015, Sandie was thrilled to take on the Director's role. Sandie has the background and commitment to maintain the high level of customer service for which Speakers Ink is very well known. Our clients within the schools, festivals, libraries, councils and events wish to find the right speaker for their particular needs and to be sure of fabulous outcomes. Our Speakers are also our Clients - for whom we are committed to securing bookings - not only locally, but nationally and internationally, to enable the broadest sharing of their important messages. Sandie is focussed on ensuring Speakers Ink provides these services efficiently and reliably for all concerned. Our ultimate clients are our Speakers' audiences, and as a base for all else, Sandie is committed to improving literacy in our society through the activities of Speakers Ink. To support this, Speakers Ink holds memberships of societies and strong partnerships with UQ Press, UQ Cyberschool, the State Library of Brisbane, local Councils and many bookshops, with the ongoing support of the Founder, Helen Bain. SCBWI - Society of Children's Book Writers & Illustrators. Helen is now working fewer hours, but is still active behind the scenes assisting with the running of Speakers Ink. Please feel free to contact SPEAKERS INK with any enquiries or booking requirements throughout the year.